Rather, what can be done is increasing one’s dependence on unconventional therapies and medicines. Mother Nature is abundant with resources which help in curing some of the most complex diseases like diabetes or cancer without any side effects. Have a look at our list of Top 10 Healing Herbs that would surely improve your health in the most natural way possible. This yellow coloured herb has innumerable benefits for the human body. One heaping spoon can help you in easing Arthritis because of its anti-inflammatory properties that relieve pain and swelling. Similarly, it can also be used on cuts and wounds. Some studies have also shown that turmeric might assist in curing Alzheimer’s disease and colon cancer. Including certain amounts of Cinnamon in your daily diet would help you reduce your blood sugar levels, thus helping in reducing the risk of diabetes. It can also help in lowering your cholesterol levels and reduce the risk of diseases related to the heart. Today meat has become a common component of every meal of one’s diet, but cooking it at high temperatures produces harmful carcinogens. However, adding a little amount of Rosemary to your dishes can introduce the much required anti-oxidants in your food, eliminating carcinogens. In addition to this, Rosemary also prevents tumour formation in the body. A very common herb, Ginger should be used daily in good amounts. It helps in preventing nausea and uneasiness, stomach upsets, motion sickness, etc. Furthermore it would reduce your blood pressure, risk of cancer and pain from arthritis. Holy Basil (Tulsi) has various health benefits. Because of its anti-toxic characteristics it acts as a medicine for the nerves and increases intellect. Moreover, it helps in increasing respiratory resistance, dealing with variety of diseases and infection, and reducing stress. In this hectic world, St. John’s Wart can come to your rescue by relieving you from stress, depression and anxiety. The herb contains melatonin, which would help you in sleeping better, and can be an excellent replacement for all the chemicals that you might be putting in your body. Garlic is counted among the most rejuvenating and stimulating herbs in Ayurveda. It repairs the injured tissues of your body, helps in bettering the digestion and eliminating germs from the intestine. The herb has also proven to reduce the risk of cancer and has several cardiovascular advantages. With its proliferating use in the cosmetic industry, the benefits of this magical herb are alien to none. Aloe Vera also helps in digestion, acidity, loss of hunger and increasing energy. 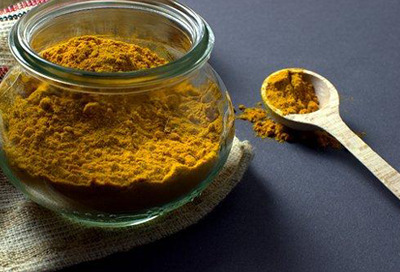 The heated mixture of its pulp with turmeric can be used as an antiseptic for cuts and wounds. Indian Lilac or the Neem is mostly known for its antiseptic properties and commonly used on injuries. Neem also eliminates toxins from your body thus purifying blood and giving you a blemish free skin. The Liquorice roots relieve stomach ulcers, sore throat, and common cold, improves digestion, relieves constipation and improves immune system. It can also help in PMS and menopausal support. I live in United States, help me thank DR. covenant who helped cured me from HERPES SIMPLEX in just one (1) week. I got to know him from a friend who he helped, at first I doubt if his herbal product would work until my friend put her car at stake that if it doesn't work she would give me her car. After which I decided to try, to God be the glory am now a living testimony, all thanks to DR. covenant, if not for him I would not have been healed so easily.. You can reach him via covenantsolutiontemple@gmail.com or call/whatsapp at +2349057353987, you can also contact him on cure on...... 1. GONORRHEA 2. SYPHILIS 3. ASTHMA 4. STROKE 5. DIABETES MELLIFLUOUS 6. SIMPLEX HERPES 7. RINGING EAR 8.LOW SPERM COUNT 9.SICKLE CELL 10.HIV/AIDS 11.CANCER 12.LYME DISEASE ,.,.